A boathouse door is almost identical to a standard garage door, with an opener that pulls the door open or closed along a track. Because of this, knowing when to do a boathouse door repair or replacement is comparable to a standard garage door dilemma. Some issues with a boathouse door can lead to a repair, but on occasion, the age of a door can lead to replacement. What if the Door Stops Working One Morning? If the door has frozen and completely gives up on working, this most likely means only one part of the chain has broken down. The weak link could be a disconnected wire, broken pulley, or any number of failures. Regardless of what is wrong, calling a professional can assess the damage done to the boathouse door and fix it almost as quickly as it broke. The Door Struggles to Open Itself. This issue is like the last one because the whole door may not be failing. When a door struggles to open, it may be because a single part is struggling to operate. Whether a rail is not properly lubricated or a spring is getting near the end of its life, a heavy door can usually be fixed easily. The Door is Damaged. 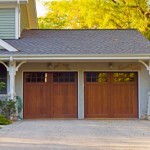 If the garage door panels are damaged, this may be cause for concern. Whether getting hit by hail, a boat, or any number of other damaging things, a door can struggle to be a door if damaged too far. If the door is damaged, you may want to consider replacing it because the cost of a boathouse door repair may be comparable to a new door. The Door is Old. At a certain point, a garage door is due for replacement. 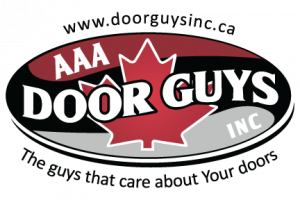 Much like with an old car, the cost to maintain the old door may be greater than the cost of a new door. Consider calling a professional to consult on whether a boathouse door repair will be cost effective.